It appears Walmart-owned video streaming and download service Vudu wants to get into the HDMI dongle game, too. 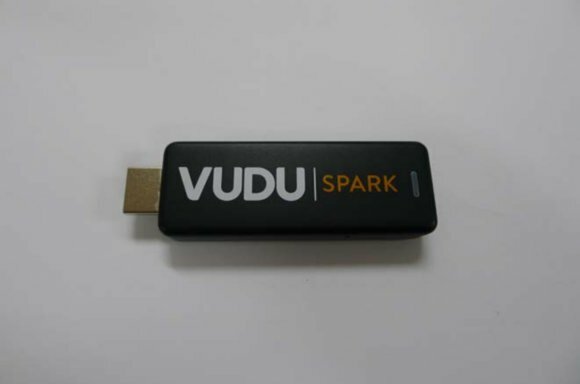 A Chromecast-like device dubbed "Vudu Spark" recently popped up on the Federal Communications Commission's website, as first noticed by GigaOm. Walmart didn't make the filing itself. Instead South Korea-based Inkel Corporation, an electronics maker, is behind the FCC filing. Presumably, Inkel is the white label manufacturer for the device and we can expect an announcement from Walmart in the coming weeks. The Vudu Spark as pictured in documents filed with the FCC. The story behind the story: Forget about consoles and set-top boxes, the big trend for the living room is dongles. After failing—several times—to popularize the Google TV platform, Google finally succeeded in the living room with the Chromecast in 2013. Many companies soon followed suit. Roku introduced its $50 streaming dongle earlier in 2014, and Microsoft introduced a $60 Miracast device in September. Most recently, a small company announced a Kickstarter campaign to produce the Matchstick, a Firefox OS-powered HDMI stick due out in 2015. Using the Vudu device is very simple, according to the user manual. You plug it into your TV's HDMI port, connect it to your Wi-Fi network, and then the Vudu app loads. Other than the stick itself, the device apparently comes with an RF remote control. 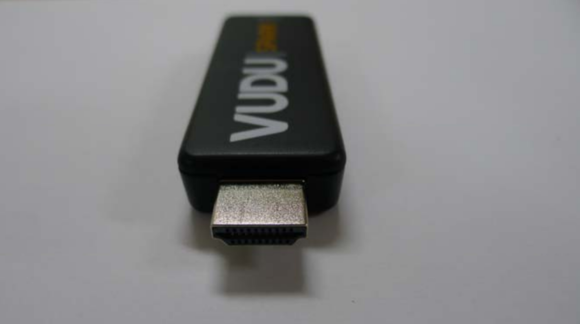 The Vudu Spark appears to be more set-top box than a multi-app compatible streaming stick. Unless Walmart has a surprise planned for the device's debut, the Spark appears to be nothing more than a convenient Vudu delivery system. Other apps or services don't appear likely. For Vudu fans, the stick might just be what they're looking for. Everyone else, however, may be left wondering why they'd want such a thing. Then again, Vudu is a means to view UltraViolet content, which could increase the dongle's appeal... if it weren't for the fact that Vudu works on the Chromecast too. Another route would be if Walmart prices this stick ridiculously low. Google's Chromecast sells for $35 and the Matchstick has a target price of $25. But with the Matchstick still in development, all Walmart really has to do is beat the Chromecast's $35 price—probably an easy task for the low-cost retailer. That's assuming Walmart sells this device at all. For all we know, longtime customers may get the thing for free or at a steep discount.